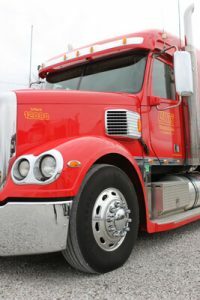 Tanker Truck | Reliable Transportation | Petroleum Transport - Lewis Transport, Inc.
At Lewis Transport, tanker truck safety is the top priority and our drivers play the most critical role. Due to our dedication to getting the job done, we’ve been cited for “Flawless Execution,” “Overflow Carrier of the Year” and “Environmental Stewardship,” among many, many other awards. We know that with every load of fuel comes a responsibility to deliver it safely. We take this responsibility to practice tanker truck safety very seriously, operating 24 hours a day, 365 days a year. Safety training is an integral part of our success. Our drivers attend safety programs throughout the year. This ensures our fleet is trained and up-to-date on the latest policies and procedures and compliant with current industry standards. The training enables Lewis Transport drivers to be on top of their game – always ready to serve the customer in the safest manner possible. They also receive bonuses and other recognition for demonstrating safe practices. Our standards demonstrate a commitment to adhering and exceeding published governmental policies. We have a primary emphasis placed on prevention, all personnel are accountable for continual compliance and implementation of improvements.